Motorcycle Transport Zambia Trip 2 The trip continues Arrival Livingstone. 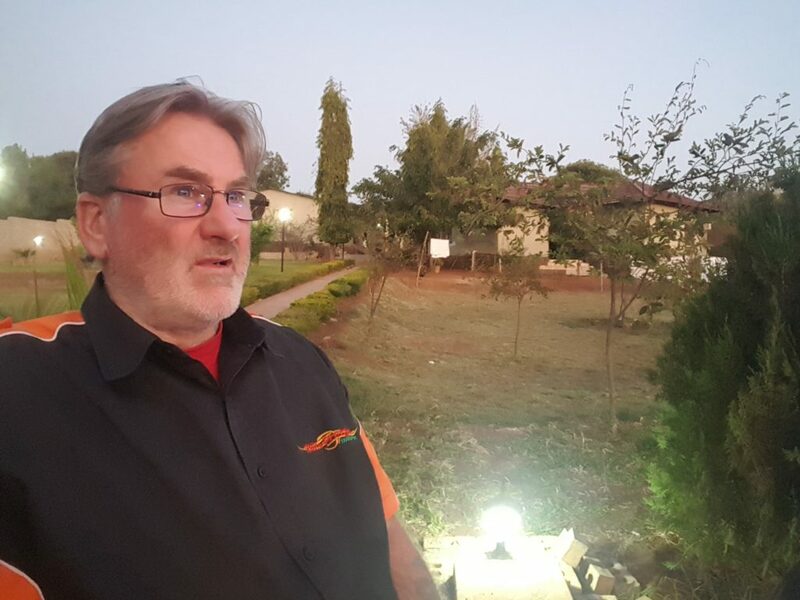 Flew up to Livingstone, Zambia from Cape Town on the 3rd October and arrived at around 5.20 pm. 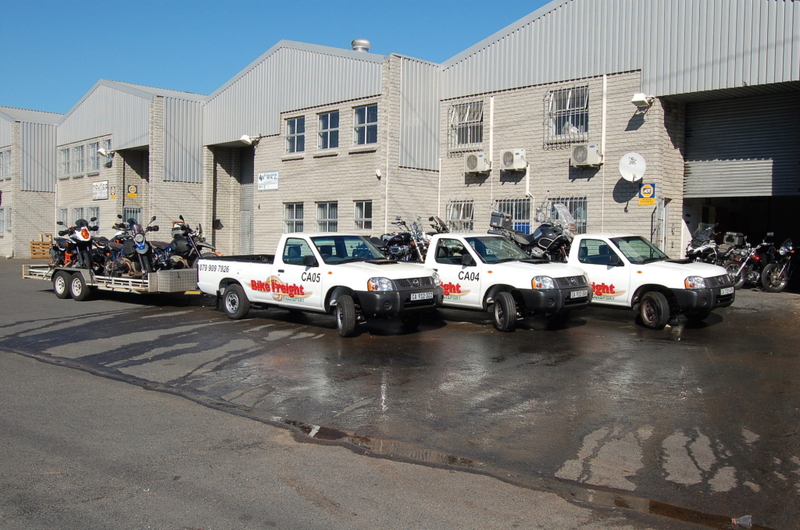 The truck had been secured at the local police station at the airport for safekeeping while I was back in South Africa. Parked off at the hotel pool that evening with a nice cold beer and chicken and chips which were awful. The chips were real slap chips barely cooked and swimming in old oil. The chicken was flash roasted, so burnt on the outside but still bloody raw on the inside. Salmonella here I come! Luckily my constitution is such that I can eat anything and keep it down! 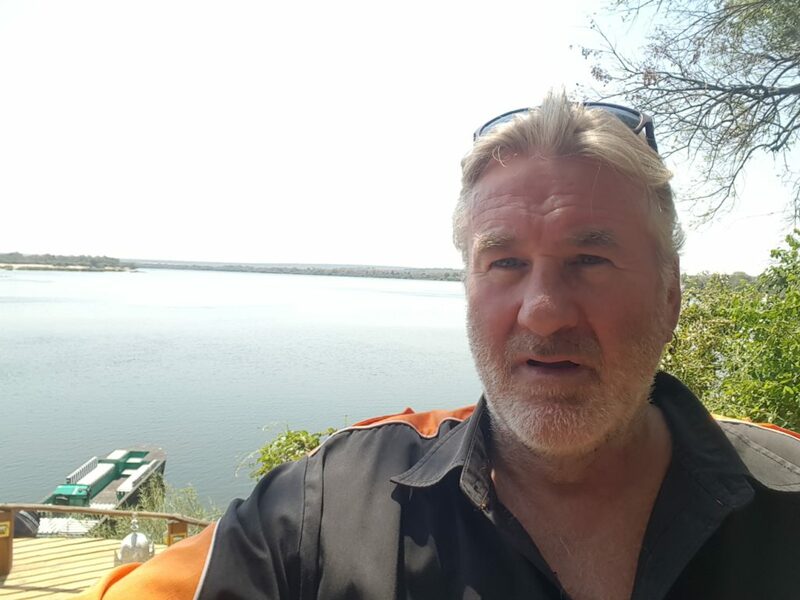 Just arrived at the hotel in Livingstone, Zambia. 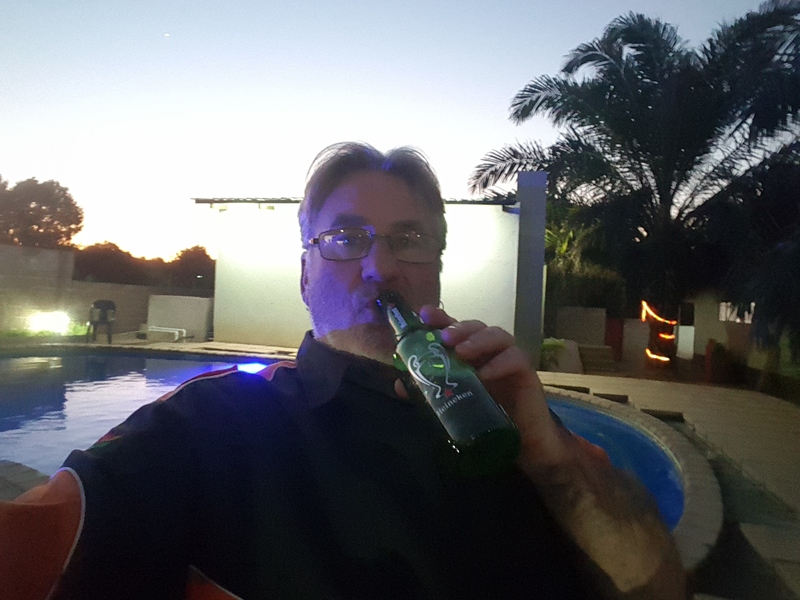 Time for a nice cold beer and park off round the pool. 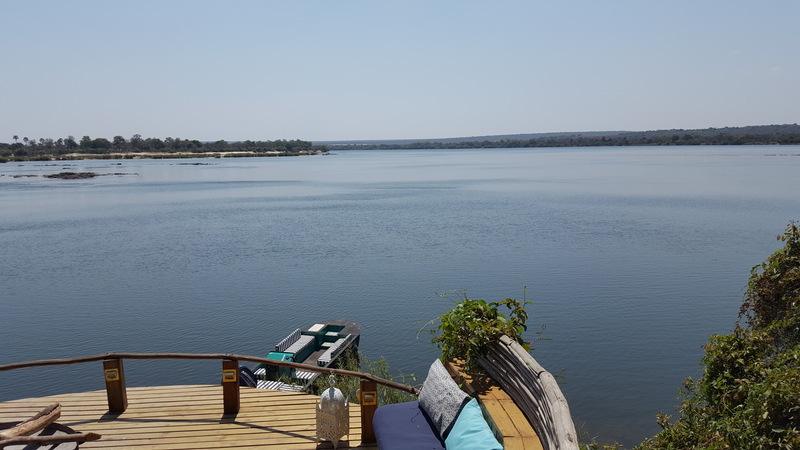 Thursday 4th of October was an imposed rest day as the guys had not returned to the Tongabezi Lodge and I was due to meet them at around 5 pm to start loading up the bikes. 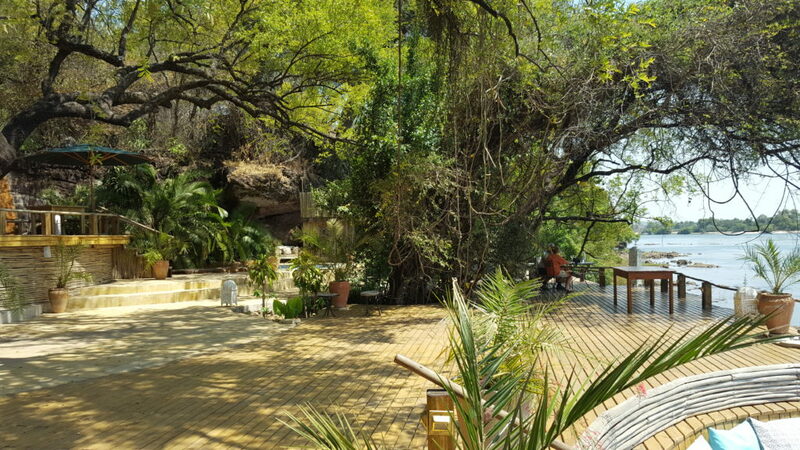 So lets do the touristi thing and made my way down to Victoria Falls. 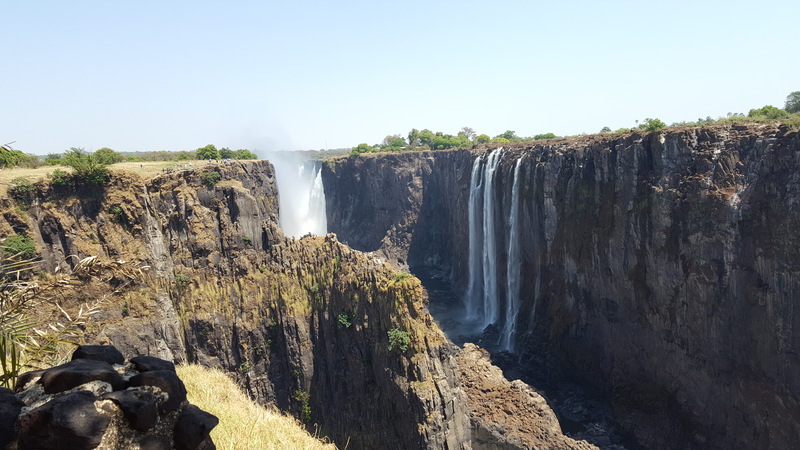 Very disappointed with Victoria Falls. No water! 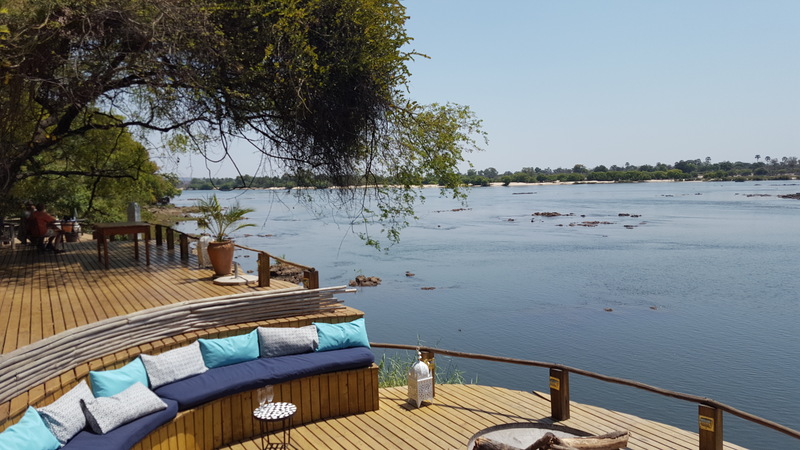 View of the Zambezi from the Tongabezi Lodge deck. 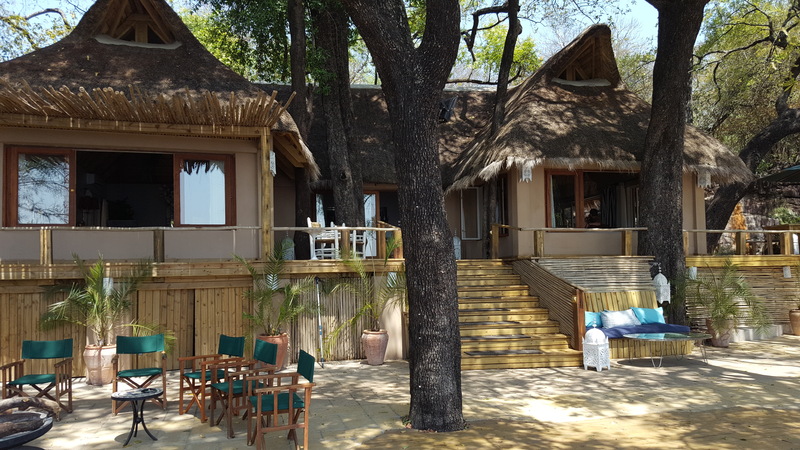 The Lodge at Tongabezi is very rustic and perched on the banks of the Zambezi river about 20 km from Livingstone. Set in the lush tropical forest. 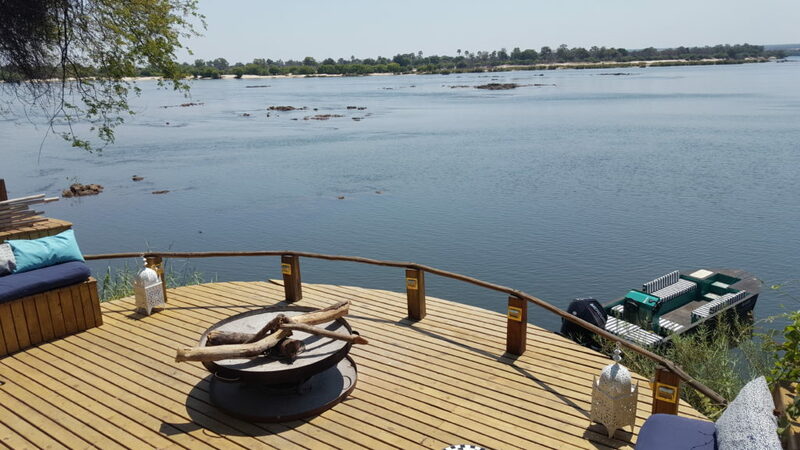 The river has hippo, crocodiles, water buffalo etc etc all in earshot. The guys that morning whilst out fishing, witnessed a fight between two hippo in the river. Keep well clear I think! 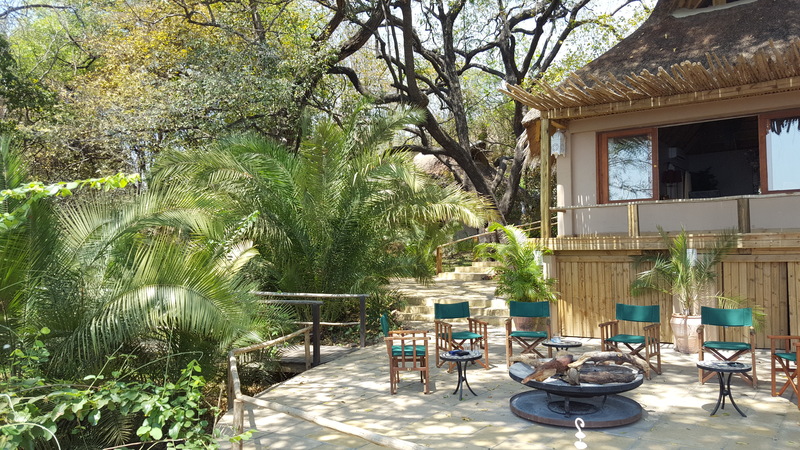 It has a very beautiful, restful air about its setting which belies the wild African setting. Dont wonder off sleep walking and absolutely NO skinny dipping!